It is now a requirement for all our horses, ponies and donkeys to have a passport. Unfortunately, the old vaccination or breed certificates are deemed insufficient. The passport should stay with the horse at all times – so be kept at the yard/facility where your horse resides, and accompany the horse should it be transported anywhere. By law, veterinary surgeons may not treat a horse without first seeing its passport, however, in an emergency, if the passport is not available, then we can issue a BEVA Emergency Treatment form. 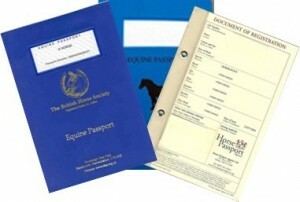 The passport documents the horse’s identity, health checks and vaccination records, and should also contain a Section IX Medical Treatment Section. We recommend you sign this section declaring that the horse described in it is not intended for human consumption. Once this section is signed, there are no restrictions on the medicines that can be administered to your horse beyond the normal drug prescribing cascade. We will note on your horse’s clinical record that Section IX has been signed, which will simplify the situation in the unfortunate event of a medical emergency when your horse’s passport may not be available. If Section IX is not signed “not intended for human consumption”, the passport is not available, the horse’s Section IX status is not noted on our records, or the identification in the passport doesn’t match the horse’s markings or microchip number, then there are severe restrictions on what medication can be administered to your horse. In particular, bute cannot be given without Section IX being signed “not intended for human consumption”. 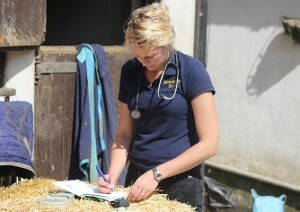 Once Section IX is signed, whether in the passport or on the BEVA Emergency Treatment Form, it is an irreversible decision. If your horse has a passport that predates Section IX, then they are deemed automatically signed “not intended for human consumption”. Likewise, any passport issued to an adult horse will be signed “not intended for human consumption” by the Passport Issuing Organisation. 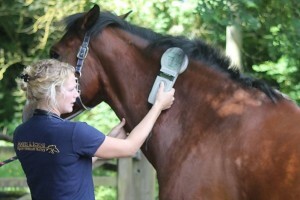 Passport regulations now require that all horses are microchipped in order to obtain a passport, whether new or replacement. All foals must be microchipped by 31st December of the year of their birth or within 6 months of birth, whichever is the later. The passport is issued to the horse and therefore must accompany it when ownership is transferred. It is illegal to sell a horse without a valid passport and the new owner should contact the relevant Passport Issuing Organisation for official transfer of ownership in the passport within 30 days of acquiring the horse. The passport should be returned to the Passport Issuing Organisation within 30 days of the horse’s demise. 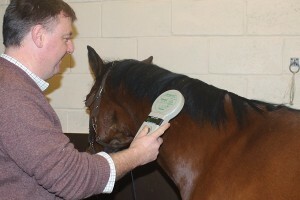 If you are unsure whether your horse has been microchipped, any of our vets can attend to scan for a microchip and insert one if none is found. Please visit the DEFRA website for further information including a full list of Passport Issuing Organisations (PIO’s) regarding obtaining a passport.